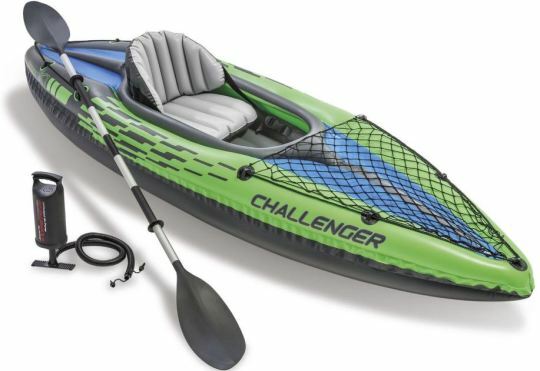 Today, July 17th only, hop on over to Amazon where Prime members only this Intex Challenger 1-Person Kayak with Aluminum Oar for only $47.39 shipped (Retail $69.99)! This Kayak includes a high output air-pump, 84-inch aluminum oar, cargo net to store extra gear, and grab line on both ends of kayak. It features an inflatable seat with backrest, measures 3 X 15 X 108 inches (W x H x D), and has a 220-pound maximum capacity.